There are 41 series listed below (377 books) – hopefully something to appeal to a wide range of struggling readers! One of the great pleasures of teaching is to connect students with books, and a sound strategy for keeping them reading is to turn them on to a good series. If they like one book by an author, they’ll almost certainly want to read more in the same series. In this way we can hugely increase reading mileage without having to constantly foist books on our students. Not only that, but as their enthusiasm builds, so does their willingness to share. If they are hooked on a series, they will tell others about it. Hooked readers are the best advertising. 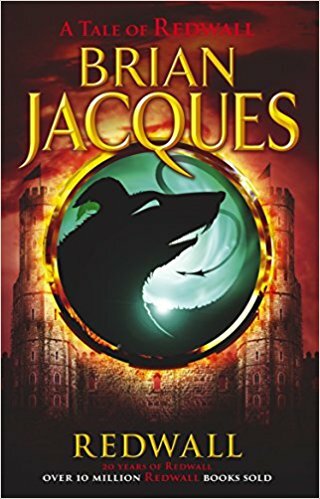 With that in mind, we have compiled a list of authors and series – some more recent, some from a few decades back, and others from the mists of the early twentieth century – for students who need an accessible story, surprises, interesting characters and connections to other books in the same series. 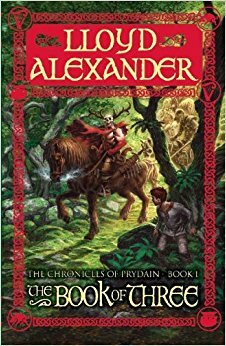 This collection traces the adventures of a motley group of adventurers in the mythical land of Prydain, a loving homage to Welsh literature and history, dressed in humour and darkened by the battle with evil. 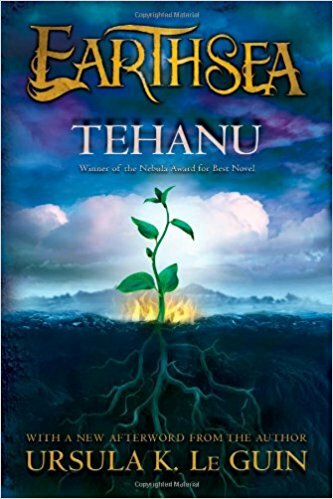 Young Taran traces a journey to adulthood through a tangle of adventures, with the most difficult puzzle – to solve his own identity and calling – the focus of the final book. This series of 43 books was published from the mid-1960s until the early 2000s. 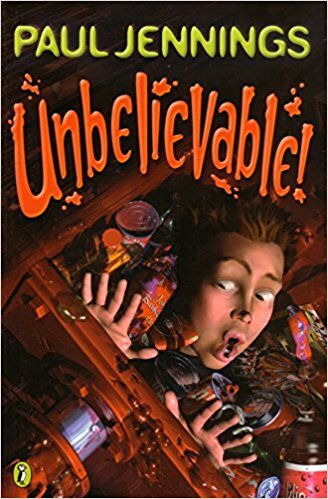 Three teenagers, Jupiter ‘Jupe’ Jones, Peter ‘Pete’ Crenshaw, and Robert ‘Bob’ Andrews, untangle peculiar mysteries using reason, logic and ingenuity. Easy to access and appealing to older children and younger teenagers, the puzzle-solving nature of each plot will hold readers of a logical or mathematical bent, but they are also simply entertaining. 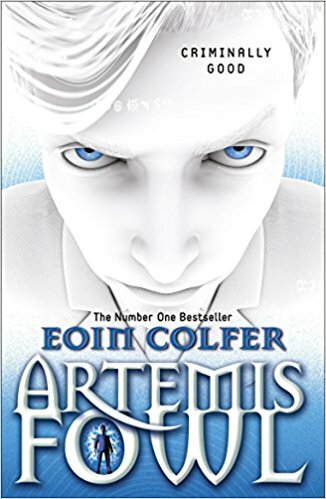 Artemis Fowl is a boy genius with a penchant for crime. In his quest to find his missing father, he is drawn ever more deeply into the world of fairies who, unexpectedly, are masters of technology so far advanced that humans would think it magical. The uneasy alliance behind the criminal mastermind and the Lower Elements Police is full of humour, puns and derring-do. The books are quick reads but action-packed. Suzanne Collins writes up a storm in The Hunger Games with a female protagonist who is kind, passionate and tough. Katniss begins her journey from wild mountain girl to revolutionary by taking her little sister’s place in a televised duel, a lethal version of I’m A Celebrity where only one person gets out alive. The series has been successfully filmed and is well known. In The Underland Chronicles, Gregor Bane discovers another world that lies beneath New York City, full of creatures that above would seem banal, but down here are terrifying and dangerous – not to mention big. 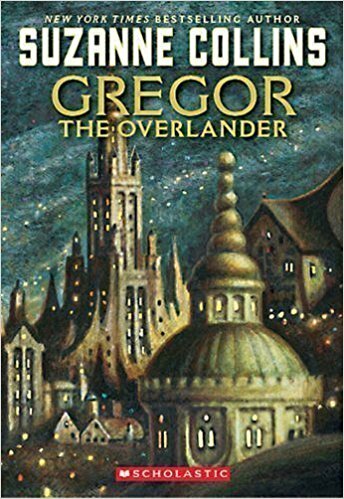 Gregor has a sister to rescue, a mystery to solve and really needs to get back home. But of course, none of that will be easy. Fast, accessible and gripping reading: some reviewers said they read all five books in a few hours. This classic series about Will, a teenager coming to grips with his true identity while battling against ancient evil, drapes everyday England in shadows of its mythical past. Susan Cooper creates a compelling narrative by only loosely defining the enemy, and ensuring that much of the hero’s struggle is with his own doubts. Jimmy Coates discovers that he is capable of extraordinary feats – and that some sinister people are after him. Set in a dystopian UK dictatorship, there are nods to Orwell, Huxley and Shelley – but the focus is soundly on the action. Garion (later Belgarion) lives a quiet pastoral life on a farm with his aunt Pol, until Mr Wolf announces that something important has been stolen. The resulting adventures of the trio are interwoven with a wide-ranging cast of characters as the quest to recover the magical Orb begins. Despite the sometimes familiar genre stereotyping, the tales are told in a lively and humorous manner. Eddings is good at pace and plotting, and the resulting storyline holds attention and makes prediction difficult. There are later, related series for those who become serious addicts. Meg discovers that the reason her mother disappeared is linked to her father’s ability to read characters out of books into existence in real life. 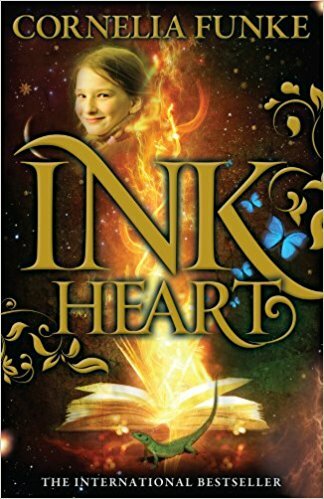 This is a book about books and book lovers, with a complex plot, a story-within-a-story, and carefully drawn characters, so may be more suitable for readers who have found their feet rather than those just getting into books. Alex Rider is fourteen years old when he discovers that without knowing it, he has been trained since early childhood to become a spy. Equipped with martial arts, a keen intelligence and a determined courage that guarantees lots of trouble, this series abounds with nods to James Bond motifs – and yet somehow retains a youthful innocence. Horowitz is a master of engagement and pace, and these books really are very difficult to put down. The Diamond Brothers, Tim and Nick, are detectives. Tim happens to be a particularly bad detective, whereas younger brother Nick is by far the more intelligent. These short, lively books which are accessible to younger teenage readers are full of jokes, puns, and references to classic spy and crime literature. Titles like The Falcon’s Malteser, The Blurred Man and South by South East give you the flavour. Originally published in the late 80s and 90s, the entire series was republished in 2007. 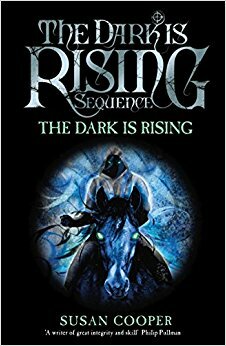 This is a souped-up, wild ride that injects Alex Rider action into the battle with ancient evil explored in Susan Cooper’s Darkness Rising series. A miscreant who pushes the limits, Matt is sent to the country where he encounters a very strange village and some very strange goings-on, starting with a murder. The horror keeps building, but the narrative is strengthened by Matt’s alliance with four other ‘Gatekeepers’ who must stand with him against the Old Ones. The emphasis is very much on breathless action and a strong dose of fear. This is the collection that many of us know and love. There are 11 books in this series, which are simply linked by their titles and subject matter rather than a narrative. From truth-telling machines that backfire spectacularly, to competitions that are not all that they seem, readers will keep on reading until the surprising and funny endings. Chris’ father tells him how babies are born, and Chris (naturally) explores the cabbage patch. He instantly becomes a father when he finds a green baby that holds its breath and turns purple if he puts it down. And that is just the beginning . . . Easy to read, but amusing for adults as well as children, the Cabbage Patch stories can be very helpful in convincing late readers that there is fun to be had with books. Stephen is pressured into stealing something, and it turns out to be a Gizmo. A Gizmo from outer space, no less. This particular Gizmo seems to bring Stephen very bad luck and simply refuses to be disposed of. In a series of disasters, Stephen has to deal with his guilt and find a way out of his predicament. Jeff Kinney’s blockbuster is simply told but marvellously concise in conveying the preoccupations, successes and failures (mostly failures) of a student embarking on the trial by fire that is modern secondary education. Kinney strikes a neat balance between empathy for the hapless narrator and making him a source of sometimes well-deserved ridicule. Most students have already come across this, but those new to books and reading should devour it quickly. This haunting and poetic trilogy evokes a world that exists as a psychological rather than physical landscape. With elemental imagery and a lyrical tone, Le Guin creates the culture that gives birth to the character of Ged, moving from undisciplined talent, through perilous journeys and finally to the deep choices of life. Though perhaps less well known than some of Le Guin’s other work, the distilled power of the Earthsea trilogy remains long after the reading is done. The Hainish series explores what happens to the human race when long-distance space travel becomes a reality. Marooned by vast distances, but connected through the wonder of simultaneous communication, human evolution diverges in response to vastly different environments, but ever seeks home. The True Name of the Sun is perhaps the most readable and plot-twisting, while The Left Hand of Darkness is a science fiction classic (but too complex and explicit for younger readers). 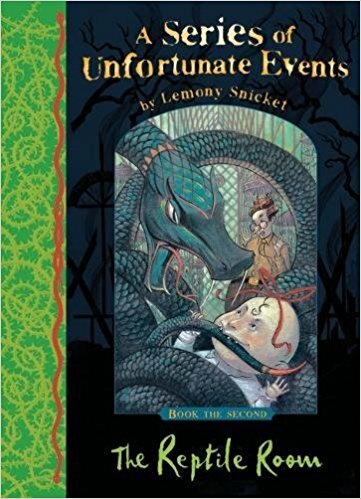 The series is familiar to many children now through the films – but the books are something else, woven with charm, the astonishing lucidity of Lewis’s imagination and his gift for allegory. Lessons about faithfulness, grace and human nature abound, along with medieval romanticism and a good dose of mid-20th century Englishness. Everyone has a different favourite novel in this series. 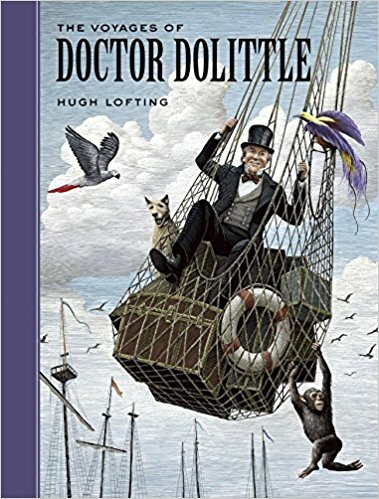 Doctor Dolittle’s fame is somewhat dimmed, and perhaps distorted by the 60s Disney film. But this charming evocation of an England now lost, populated by talking animals with personalities as lively and eccentric as their human counterparts, can still warm hearts. The fact that the stories began as letters from the trenches of World War One to Lofting’s young son makes the series particularly poignant. 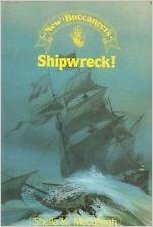 First published in the 1980s, this lively illustrated series chronicles the adventures of young Nick, who finds himself transported through the pages of a book into the realm of pirates, adventurers and, of course, buccaneers. Following the first series of adventures in the land of Ramir, the second series is just as compelling and enjoyable. Any young readers who are interested in pirates and treasure will be likely to find much pleasure in these fast-paced stories. Anne Shirley is an exuberant, vivacious character who has beguiled the hearts of readers since the first book was published in 1908. When a couple on Canada’s Prince Edward Island send for an orphan boy to help work their farm, their plans are thrown awry by the arrival of a spontaneous, talkative Anne. The affirmation of human nature, the themes of kindness, friendship and loyalty, and the appreciation of beauty in all things give this series enduring appeal. 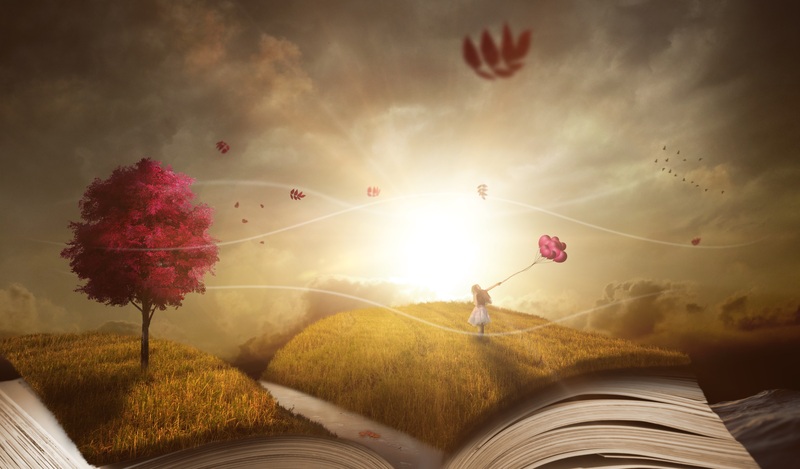 The sometimes lengthy descriptions of the natural beauties of the island setting may, however, be off-putting for slower or more action-oriented readers. One of the earliest fantasy series by a woman author, this ground-breaking epic is seen as one of the key influences on the fantasy / science fiction genres in the 1960s. Not only was the author a female, but many of the protagonists, and wielders of power in the stories, were women as well. Norton was a prolific writer who produced many works for young adult readers. 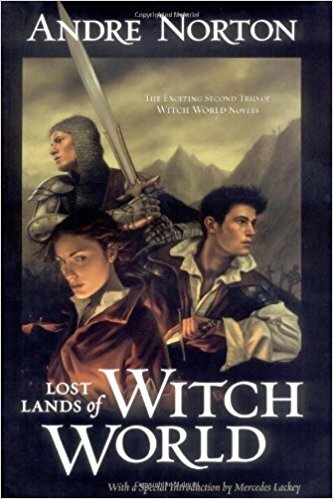 Witch World is the best known of her many collections. The first book tells the story of an ex-colonel who is being hunted by hitmen and is offered the chance of escape to the world to which he truly belongs. He finds himself in Estcarp, a society ruled by women and preserved by magic, under threat from an aggressive culture with advanced technology. Gary Paulsen was a wandering maverick who had had a go at everything before tackling writing. His terse, energetic prose reflects the pioneer, do-or-die spirit that underlies great Westerns and survival stories everywhere. At its heart, Hatchet puts the question: would you do everything you have to in order to survive – or would you give up? While the protagonist Brian must overcome many challenges to survive alone in the Canadian North-West wilderness, his greatest enemy is himself. The books in this series are short, gripping and thought-provoking. 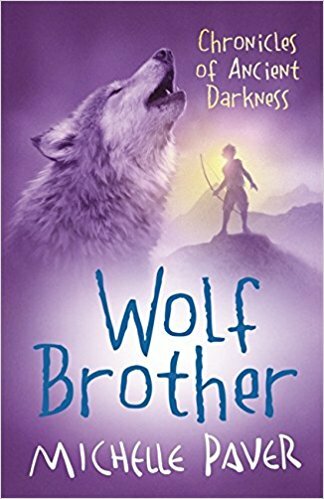 Set in the late Stone Age, Wolf Brother commences this series with the violent death of Torak’s father. In a world where humans are far from dominant, where the natural and supernatural mingle, Torak and his wolf brother must pursue a lonely journey to avenge his father and to save the land from evil. Some of the story is written from the wolf’s point of view, and Paver has given him his own wolvish vocabulary. Enjoyable, pacy and at times menacing, with interesting characters and a solid backstory. Sir Terry Pratchett has been described as the best literary comic since P G Wodehouse, and there are good grounds for the claim. Originally something of a satire on fantasy stereotypes, this series developed in many different directions as the madcap Discworld grew and grew. Each book tends to focus on a particular character, from hapless non-magical wizards and tourists accompanied by sentient luggage, to dull-witted police officers fighting dragons. The plots are detailed, gripping and full of action as well as suspense. Characters are concisely drawn with a dry comic wit, and Pratchett is a master of the simile as unexpected one-liner. Readers who enjoy assassins, thieves, murder, myth, and magic will almost certainly find these books addictive. These books are about very small people who are not to be messed with. It traces the struggle of a group of nomes to survive in a world (our world) where there is no place for them, where cats are a major menace and rodents a useful source of protein. But there is more to these little people than meets the eye, and all of their adventures are leading to something Very Big Indeed. Johnny is a typical teenager, just trying to fit in, but that doesn’t stop him being drawn through a computer game to help negotiate a peace treaty with aliens. These stories take as their settings computer video games (it was written mid-90s), communicating with dead people who prefer not to be called ghosts, and time travel – while the characters deal with teen problems and learn important life lessons. 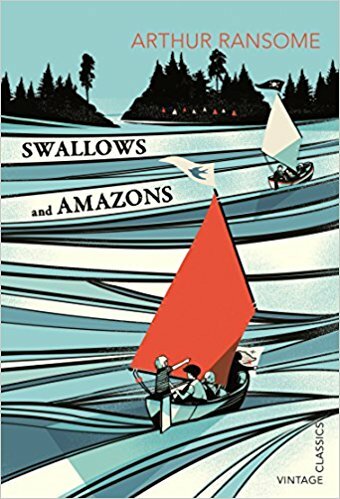 Published in 1930, this classic series tells the story of two families of children who meet while sailing and camping in the Lake District. 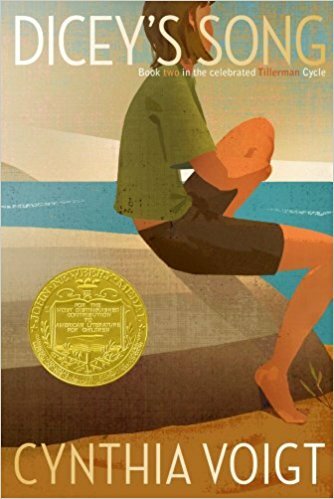 The themes of independence, escape, rivalry and adventure still resonate with young readers today. There is an idyll to the stories which makes them memorable in the manner of a happy dream; a nostalgia to which we cannot return, but whose presence can still brighten our lives. 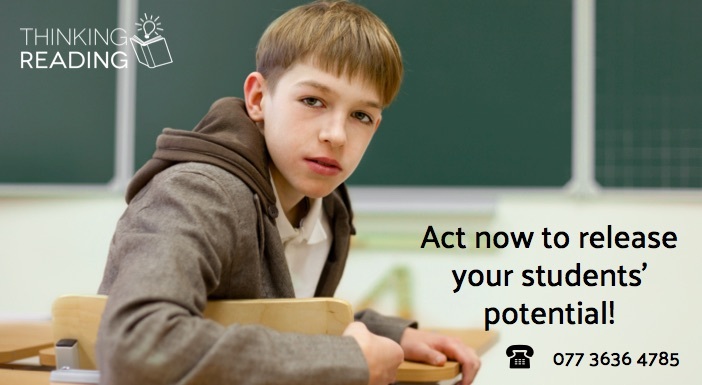 You know the student – always in trouble, too much to say and too impulsive. Percy Jackson is such a student, and has to move schools quite a lot as a result. We find out why when it turns out that Percy is really the son of an Olympic god, and now he has been given a mission. Riordan cranks out a cracking good story with action, drama and not a little emotional angst, as Percy fights against his father’s enemies. The realignment of Olympian anthropomorphic gods with the modern world also opens up the realm of the classical age to students who may have previously known nothing of it. The Kane children, Sadie and Carter, have lived rather different lives for a number of years when their father attempts to reunite them. His method for doing so, however, is rather unusual: he attempts to summon an Egyptian god via the Rosetta Stone in the British Museum. As you might expect, his plan goes horribly wrong, and it is the children who have to discover their unusual heritage, and the solutions to the dangers that have entered the world. Again, Riordan packs his stories full of crossover references, blending myth, history and popular culture. J K Rowling achieved the most coveted of authorial accolades – writing stories that made children want to read books. She treats her young readers as intelligent and informed, while creating a fantasy world that parallels our own. The battles that children fight in this fantasy world are, of course, metaphors for our own struggles in the ‘real’ world. For older students new to reading, the Harry Potter series is very good place to start. This rather black comedy plays with elements of the gothic as it traces the continuing misfortunes of the three Beaudelaire orphans who are sent to live with their evil uncle, Count Olaf. The central tone of the books is, as the tile implies, a rather wicked sense of humour. Children enjoy the series, and it will be an accessible, fast read for less confident teenagers. This cycle of tales around the decline of Roman Britain in the face of the Anglo-Saxon invasions, moving on from the last two books in the Dolphin Ring series above, draws a picture of Arthur as a historical figure trying to unite the Britons to preserve their culture. The trilogy is based on Malory’s Morte D’Arthur. 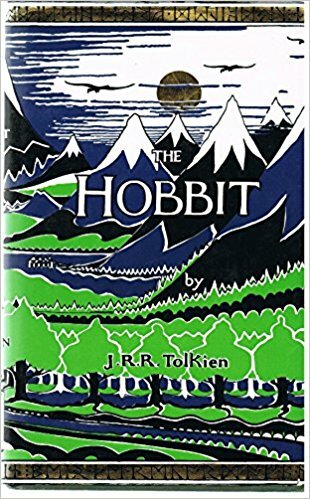 Tolkien’s masterpiece begins rather mundanely but that is part of the long climb towards heroism of the hobbit protagonists. Tolkien declared that he hated the ‘smell of allegory’ but did believe that his books had ‘applicability’. In addition to the entrancing level of detail, the linguistic achievements and the cultures Tolkien developed around the language he invented, the theme of heroism in the face of one’s own weakness against overwhelming evil is a message which still resonates today. Just get them to read The Hobbit first, and remind them that Lord of the Rings picks up pace in Volume Two. Montmorency is named after the bag of tools that were found beside him after he fell through a skylight while being pursued by the Victorian police constabulary. He is restored to life by an ambitious young surgeon who exploits him for fame, allowing Montmorency access to a world he would never have dreamt of in his former life in the lower echelons of London’s crime world. With meticulous preparation and great daring, Montmorency embarks upon a crime wave that leads him, unexpectedly, to friendship, kindness and the chance to serve his country. Through the series we trace the rise and fall of many of the characters in the original story, most centrally the frailties and heroism of Montmorency himself. Cynthia Voigt created a series of tales around the Tillerman family, each focusing on a different character. The narration is sparse and poetic, the dialogue terse and unerringly true to life. As in the best literature, the themes are universal: family, death, loneliness, love. Voigt’s characters are notable for their sense of self and their trueness to purpose, despite the costs. Theses novels leave the reader thinking long after the reading has finished. Despite the saccharine connotations of the television adaption, these books are directly told, evoking the pioneering world of the American mid-west through the eyes of a child. In her later life, Laura Ingalls Wilder chronicled her family’s joys and tribulations as pioneer settlers. The resulting books have sold millions of copies around the world, conveying hardship and beauty with great simplicity and truth. If you have other suggestions, including for interesting non-fiction series, we’d love to hear of them in the comments! Great list. A very varied mix of the classics I read as a kid (always nice to see Rosemary Sutcliffe and Andre Norton getting some love) as well as some newer stuff. Wow! Plenty for young people to get through here! Many of these kept my children entertained for many happy hours. 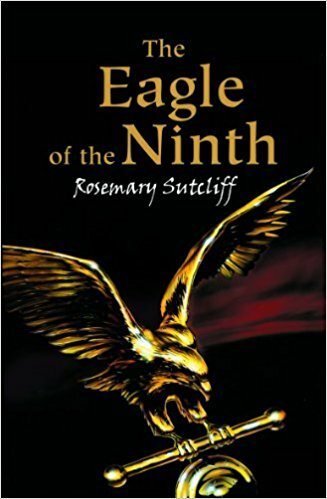 I still like Rosemary Sutcliffe’s Eagle of the Ninth and it’s nice to see Cornelia Funke included in the list. The Little House on the Prairie was the subject of discussion yesterday on, I think, Radio 4’s Front Row. My youngest daughter also loved Rider Haggard’s King’s Soloman’s Mines and She. And, over Christmas, I shall be reading my grandchildren ‘An African Story’, from Over to You by Roald Dahl. As a boy, i also enjoyed reading Charles Roberts’s collection ‘Some Animal Stories’ – great for building vocabulary. Reblogging this on the reading http://thereadingmuggle.wordpress.com.